If you’re into sports of exercise then no doubt you will have come across various energy drinks and bars and will have wondered whether they have much to offer. Of course you might also have tried a few yourself and chances are you will have found them to be variably successful. The question is then, what is in energy drinks that makes them worth the price? And if it’s just caffeine… couldn’t you just get the same from coffee? Here we will look at how energy drinks are different from coffee and whether or not you need them. Coffee and energy drinks do share caffeine in common. 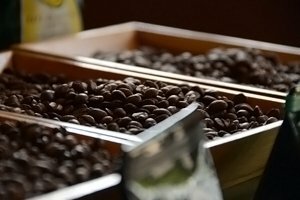 However what you need to recognize first and foremost is that coffee has higher concentrations of caffeine which will have more of a sudden impact on the central nervous system. In short this means that coffee will elevate your heart rate to a much greater degree than an energy drink, and this can make it far less appropriate for doing sports as it can place a strain on the heart (exercise itself already increases the heart rate). Meanwhile this amount of caffeine would be likely to dehydrate you as it is a diuretic and that of course in turn means that it is actually detrimental in this sense to your workout. Further, coffee is quite different from an energy drink in its consistency and the way it sits in the stomach. Because it is enjoyed hot this means you can feel it much more in your belly and that means you’d feel it ‘slosh’ as well were you to move around. The fat in milk also takes longer to digest and the combination of these factors means that you’re likely to feel off-color if you exercise too vigorously with coffee freshly sitting in your stomach. If you must drink something from a coffee shop before exercise then an iced tea is probably your best bet. Conversely energy drinks have a lot less caffeine in them. Presumably enough to give you something of a ‘boost’ though this would be followed by a trough, and whether or not you would actually benefit from that caffeine anyway is open to debate. Energy drinks however do contain some other things that give them a bit more credulity. Specifically it’s the ‘isotonic’ drinks that are useful for exercise. These contain salt and sugar in similar ratios to the human body. As you lose both these substances through sweat when you exercise this is a good way to help replenish yourself of your natural stores and the actual fluid itself helps to rehydrate you of course. These though are better consumed after a workout rather than before, and in that sense they are not really ‘energy’ drinks per-se but rather recovery drinks. 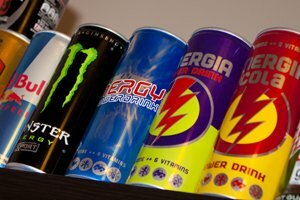 On top of this energy drinks various include a range of other substances though this depends very much on the brand. Those that contain different types of caffeine and stimulants such as guarana for instance can have some benefits over regular caffeine – for instance they will give you a more gradually released energy that won’t cause you to spike and then trough in the same way. Other things you can get from some sports drinks include for example vitamins and minerals. Many sports drinks will contain vitamin B6 along with sugar. B6 helps your body to get more energy out of your carbs and this then means that you will get more from the sugar than you otherwise would. Other vitamins and minerals can include things like vitamin C, which helps strengthen your immune system and so can theoretically give you more energy that way. However, while vitamins and minerals are a good idea for your health in the long run and important to include in your diet, they are not however going to have any kind of ‘instant’ effect most likely. Furthermore the inclusion of sugar as mentioned is only likely to give you an energy spike – this then will cause an insulin response and use up all the available sugar in your body leaving you with little benefit. For brain function caffeine can be highly advantageous and you are likely to find that you benefit from either a cup of coffee or a sports drink in terms of concentration and focus as well as wakefulness. This then means that using either is a smart move before you are required to focus on a task. However it is also a good idea to try and get some form of carbs, though again you don’t want this to be sugar. The brain relies on energy in the form of carbs and ATP in just the same way that the muscles do and if you want to work for a prolonged period of time then you need a steady supply of this. Sugar again will simply result in your body having a short burst of energy followed by a trough which will see you struggle more to focus than you were before. Thus, better than a sports drink is a banana or a sandwich that will give you a slower release of energy. A cup of coffee then has some use for studying and productivity, though neither that nor a sports drink is really ideal for sports in every way. For sports you are far better off having a source of complex carbs an hour or more before your workout (giving it time to digest) such as an energy bar that also contains guarana, and then replenishing afterward with an isotonic drink. For study you can get the very best effect from a guarana tablet and a steady supply of complex carbs until completion – particularly as caffeine can have some negative side effects such as headaches and jitteriness. Coffee and energy drinks are great unless you consume too many, then they make me crash and give me anxiety. I prefer Addrena for longer days personally.